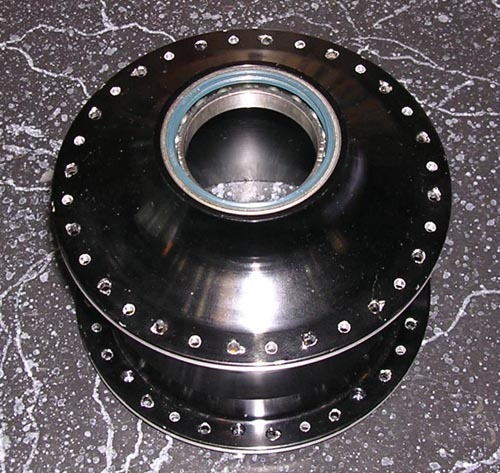 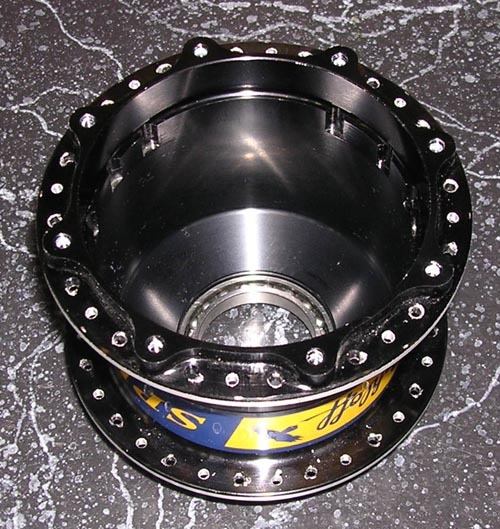 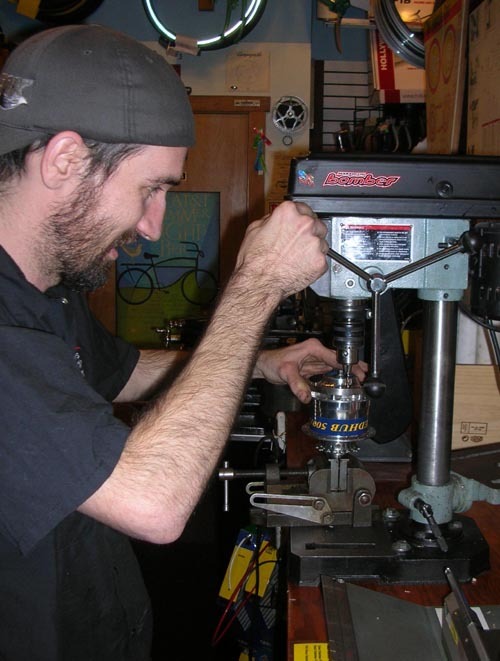 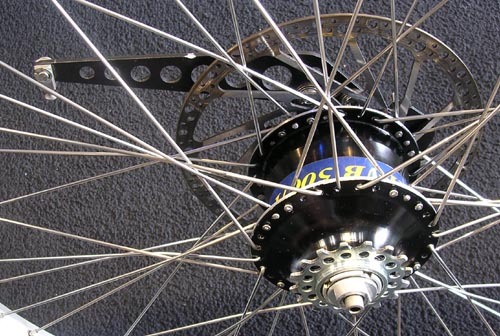 Labor to drill a Rohloff hub to 48 holes is $40 plus tax and return shipping. 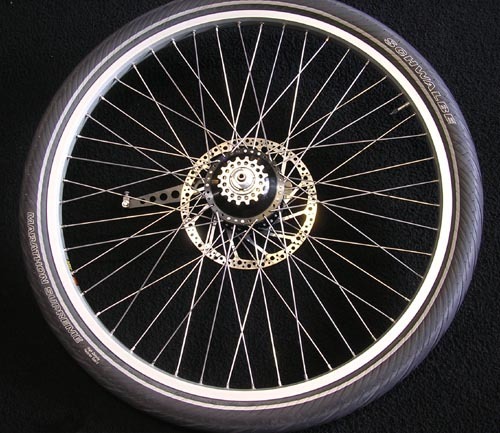 Chalo's wheel. 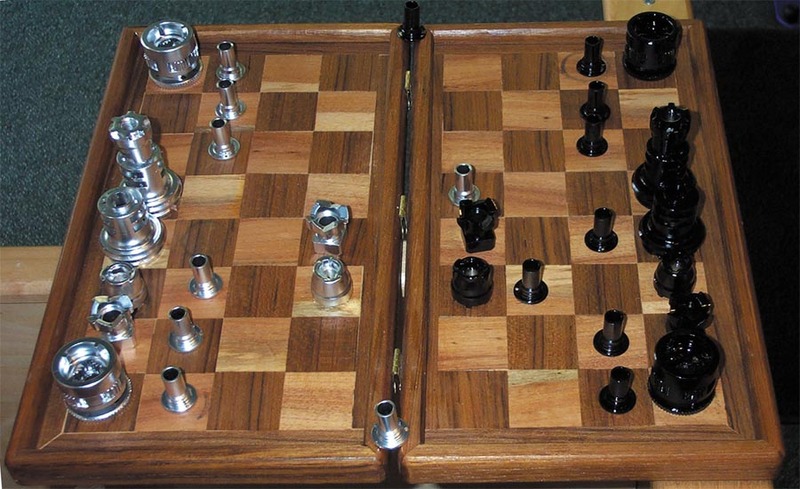 He was very instumental in helping us do this. 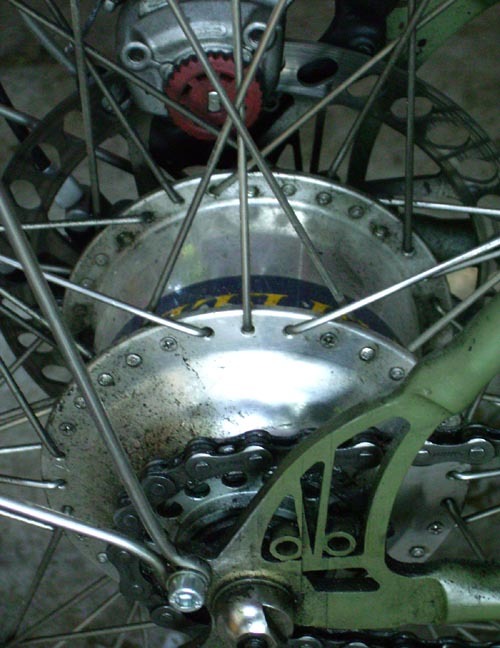 Drive Side. 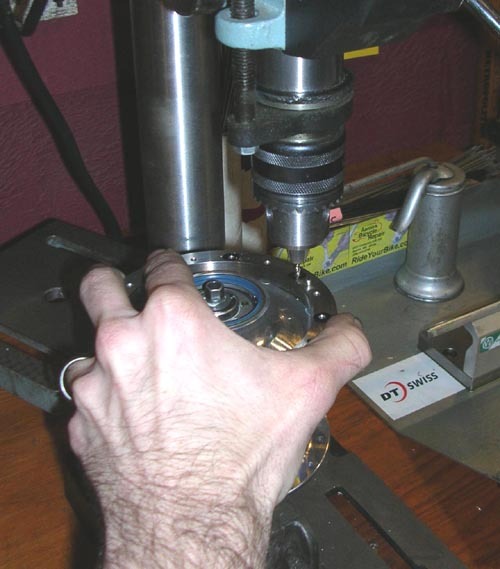 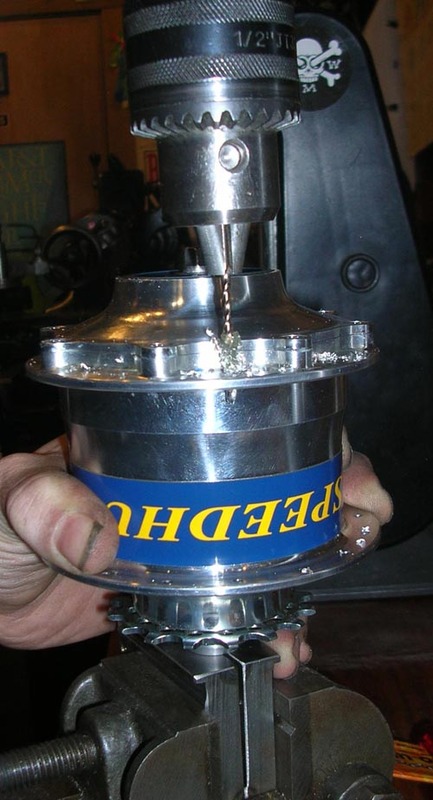 It is necessary to drill between each hole even though some holes do not get used, because the ones that do not get used are half of the factory drilled holes. 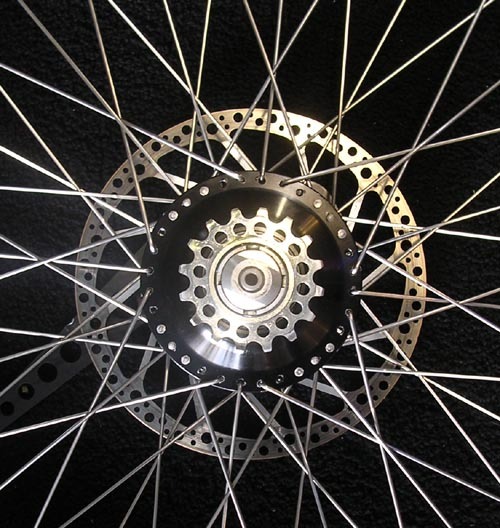 If you are using Damon Rinard's Spoke Calc, then enter 3.25 for the cross number and 48 as the number of spokes. 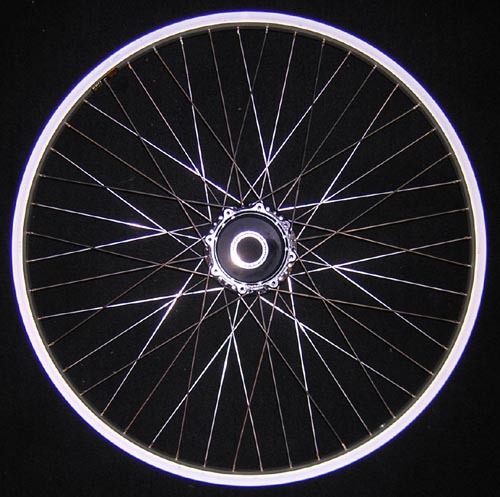 Spoke length is 225mm Radial (16 spokes); 245mm Crossed (32 spokes): for 26" (559mm) Sun Rhyno Lite rim. 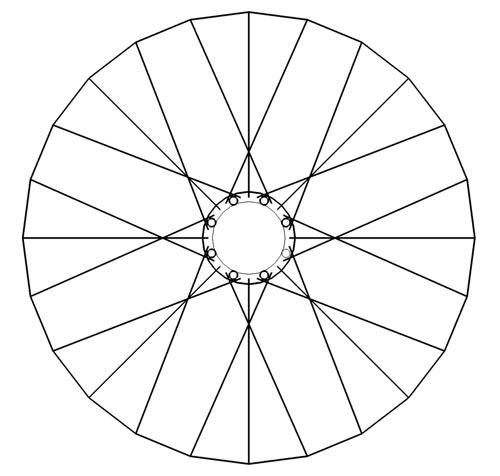 Spoke length is 221mm Radial (16 spokes); 241mm Crossed (32 spokes): for 26" (559mm) Halo SAS rim. 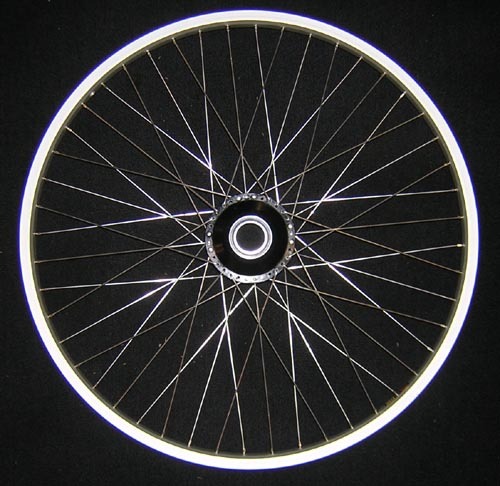 Spoke length is 249mm Radial (16 spokes); 269mm Crossed (32 spokes): for 700C (622mm) Velocity Dyad rim. 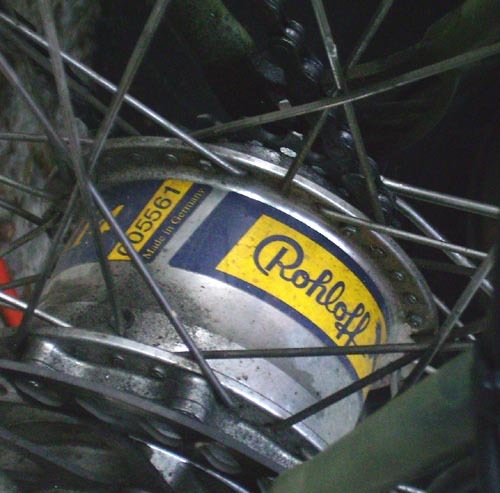 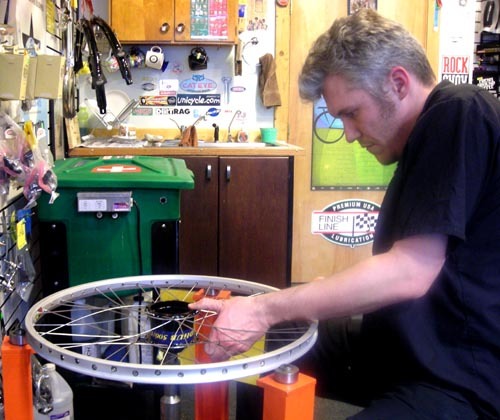 How to lace a 48 spoke Rohloff crowsfoot.